Citizen Media and Public Spaces presents a pioneering exploration of citizen media as a highly interdisciplinary domain that raises vital political, social and ethical issues relating to conceptions of citizenship and state boundaries, the construction of publics and social imaginaries, processes of co-optation and reverse co-optation, power and resistance, the ethics of witnessing and solidarity, and novel responses to the democratic deficit. Framed by a substantial introduction by the editors, the twelve contributions to the volume interrogate the concept of citizen media theoretically and empirically, and offer detailed case studies that extend from the UK to Russia and Bulgaria and from China to Denmark and the liminal spaces within which a growing number of refugees now live. A rich new domain of scholarship and practice emerges out of the studies presented. Citizen media is shown to embrace both physical and digital interventions in public space, as well as the sets of values and agendas that influence and drive the practices and discourses through which individuals and collectives position themselves within and in relation to society and participate in the creation of diverse publics. 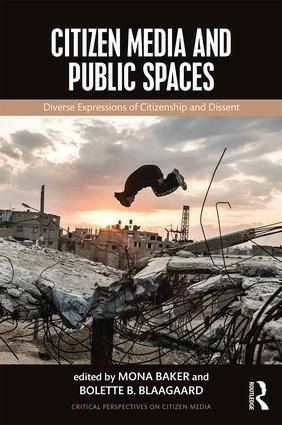 This book will be of interest to students and researchers in media and communication studies, particularly those studying citizen media, media and society, journalism and society, and political communication.